Water protectors in the Penokee Hills in northern Wisconsin convened yesterday to celebrate the anniversary of stopping the construction of a 22-mile open-pit mountaintop removal iron ore mine in the watershed of Lake Superior. 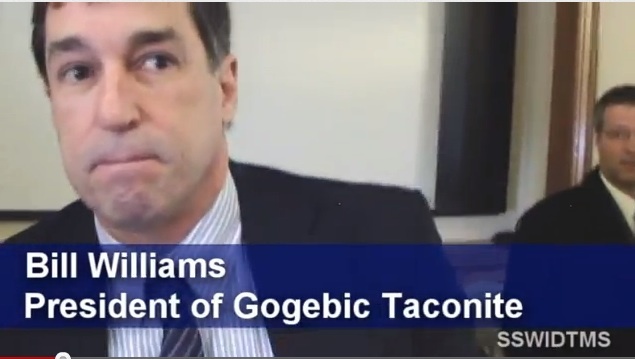 Bill Williams, Gogebic Taconite’s former president was found guilty of water contamination and illegally taking water from a Seville aquifer meant strictly for the city’s residents in case of an emergency and fined more than $300,000 for his role in the accident. In 2011, lawyers for mining company Gogebic Taconite (GTac) were allowed to re-write Wisconsin mining laws, which was passed by pro-mining Wisconsin legislators despite overwhelming opposition from the people. Also enacted was a law that forbade the public from entering certain public lands where GTac was drilling. Water protectors labeled this “The Forbidden Zone” and continued to snow shoe and hike into the designated area, hoping to receive citations and challenge the law in court. No tickets or arrests were ever made. GTac abandon their project in 2015, after three years of trying to secure the permits to build the mine. Yesterday’s annual patrol of the hills ended up on top of Joker’s Ridge, a high point near what had been the Harvest Education Learning Project, a resistance camp set up by Lac Courte Oreilles Band of the Lake Superior Chippewa to educate the public on the history of the area and the importance of protecting the watershed. 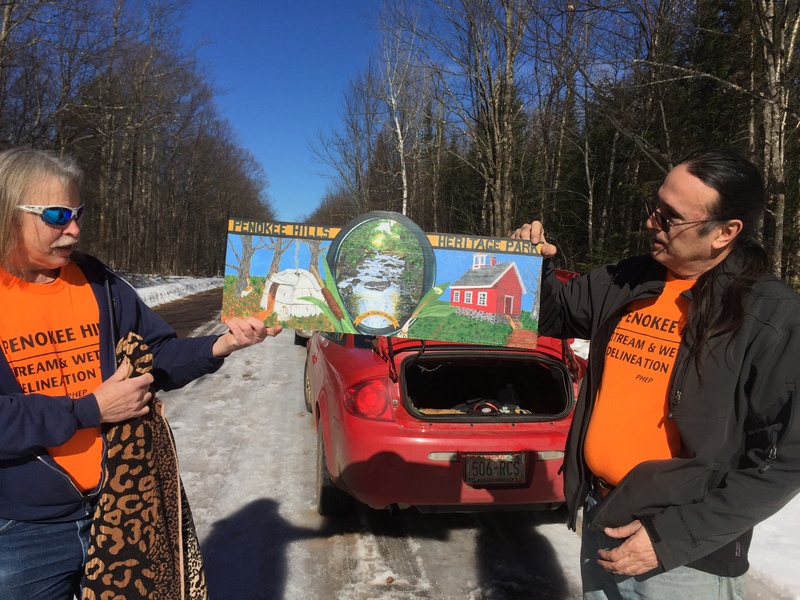 HELP was dismantled after the mining company retreated, but water protectors continue to convene regularly to stay informed of upcoming threats to area water, including a Concentrated Animal Feed Operation (CAFO) being proposed in the Fish Creek watershed that flows directly into Lake Superior. Greggory Jennings shows off a new sign he created for the Penokee Hills Heritage Park Facebook Page, with Paul DeMain. With highs in the upper 50s yesterday, snow shoers stripped down to tee-shirt as they scaled to the top of the ridge. After a 45-minute update on water issues, prayers, and fry bread (made fresh that morning by Melvin Gasper, former HELP caretaker), the water protectors descended the hills and gathered for a pot luck in Mellen.